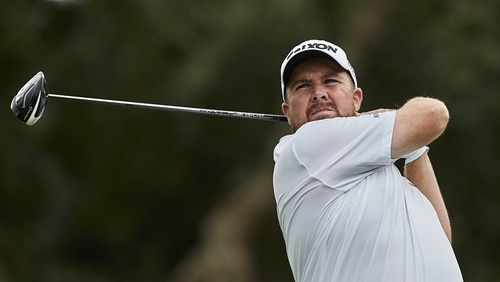 After a second-place finish at the Andalucia Valderrama Masters, Shane Lowry can look to a positive step in the direction and with it a place in the DP World Tour Championship in Dubai. The Offaly player, with a final round 66, finished four shots behind winner Sergio Garcia in the rain-delayed event at the Real Club Valderrama. Lowry's cheque for €222,220 sees him rise to 43rd in the Race to Dubai order, well inside the all-important top 60. Things have been on an upward curve for the 31-year-old since his poor showing at the British Open in July and he will now look for more improvement at Turkish Airlines Open and the Nedbank Challenge before the season finale. Speaking afterwards to local media: Lowry said: "I was going well yesterday but I came back out this morning on fire as well. Birdied ten, 11 and 12, flying, lipped out on 13 and 14 and then hit the worst shot I’ve hit all year on 15. Made double there, but the positive is that it’s probably the only bad shot I hit in that round. "A 66 around here and being in contention is pretty good. I’m just disappointed I didn’t put a bit of pressure on Sergio. "I had it to within one at one stage and then I made double and he made birdie. That was it. But it’s my best week of the year, serious positives to take from it, and I’ve got a great four weeks coming up now to finish the season."